DJ Chacha gave details of the recent proposal she received from her fiance Mike Guevara. 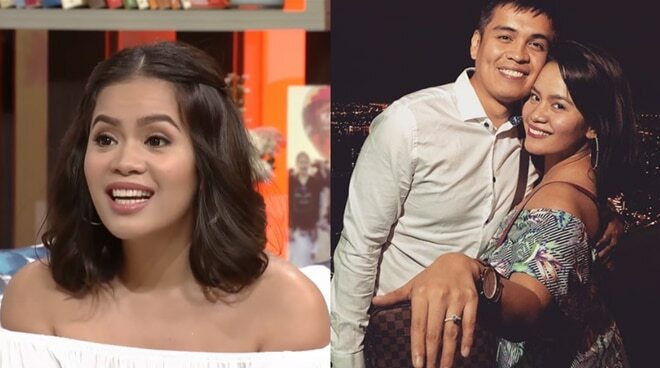 On the October 3 episode of Magandang Buhay, DJ Chacha finally shared how his fiancé Mike Guevara proposed to her at a restaurant in Bangkok a month ago. DJ Chacha said that the said Bangkok trip was originally meant for her birthday celebration. Yet, she already had hints that her six-year boyfriend Mike was preparing for something. “Tapos nung nandoon kami sa restaurant, may inaayos siya sa gilid. Sabi ko, ‘Ba’t ka nagkakaganyan?” she added. “Hindi ko masydong maalala ‘yung exact words na sinabi niya pero I think ang naalala ko lang, ‘Gusto kitang makasama habangbuhay,’” DJ Chacha shared. DJ Chacha can be heard every night on MOR 101.9’s Heartbeats. Radio programs can also be watched online on mor.abs-cbn.com.